- Measures: Inside diameter: 67x62cm External dimensions: Width: 88.5 cm Depth: 88.5 cm Height: 52 cm Weight: 450 kg Oven’s door: W50cm x H21cm - 2 year guarantee! - Free Shipping! - The dome of this wood fired oven is a kind of Iglootype, this model is designed for all kinds ofdishes: Pizzas, bread, roasts, cooked dishes, grills, and others. 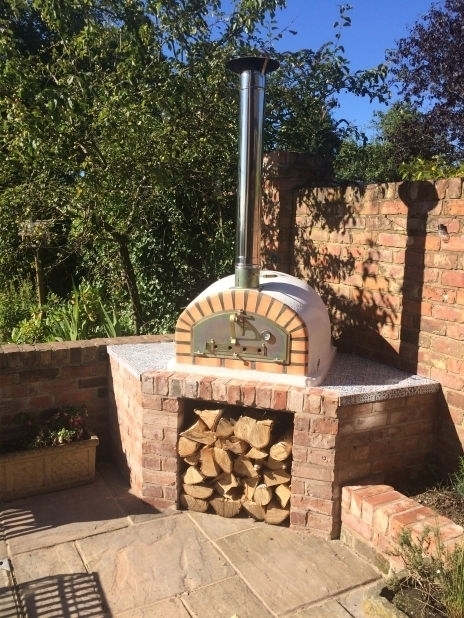 A great option in Wood fired Pizza Oven PIZZAIOLI 90cm! Turn dough onto floured surface, knead for about 2mins or until almost smooth. Roll each half of dough into an oval about 35cm long. This dough is quite moist. Use floured hands. Make indents evenly over dough with your finger; dust with a little flour, sprinkle with seeds. Cover dough with greased plastic wrap to prevent drying out while oven trays are being heated. Now place lightly greased oven trays in a very hot oven for 1-2 minutes. Quickly remove plastic from dough, and quickly place dough onto hot trays. Bake in a very hot oven about 10 minutes.